Electronic Arts, or EA as it is often referred, is one of the most well-respected and renowned gaming publishers on the planet, and has, in its decorated history, presented us with some truly seminal titles. Now, it’s fair to say that apart from Titanfall, Xbox One owners haven’t had much to claim over their PS4-toting rivals in the battle of one-upmanship so far. However, EA has just rolled out a special deal for Xbox One customers that offers access to a number of those aforementioned great games for a cost of just $5 per month, which, if you’ve already stumped up the cash for the console itself, is chickenfeed by comparison. The reason why it’s being unleashed on Xbox One and not, for example, the PlayStation 4, is because EA has struck a special deal with Microsoft, and given how many own-goals the Windows maker has managed to score since the announcement of the new console early last year, this partnership is a definite win. The subscription service is nothing new in terms of the wider digital community, but it’s a big step for a company like EA. Having never entertained this kind of monthly fee service before, it will be interesting to see how things pan out, but looking purely at the prices and the roster on offer, this’ll be a tough one for EA fans to turn down. As we’ve seen over the past couple of years, particularly across the mobile gaming market, devs have sought to move away from the upfront fee system and offer in-app purchases, usually offering the download at no cost whatsoever. But subscription packages have only really hit the mainstream in the movie and music industry with the likes of Netflix and Spotify, and as such, EA’s approach is something of a step into uncharted territory. Named EA Access, it’s only currently available to selected users in beta, although apparently, will trickle out to the general Xbox One-using public "soon." For the cost of $4.99 per month or $29.99 for a whole year — still less than you’d even pay for an aging title — you get access to the EA Vault, with unlimited access to a multitude of titles. Through the beta, testers will be able to check out the likes of FIFA 14, Peggle 2, Madden NFL 25 and Battlefield 4, but further titles will be added in due course. Additionally, subscribers will also get exclusive access to forthcoming titles up to five days in advance, and one could argue that this, in itself, is worth the meager fee alone. The only drawback, as with almost any subscription service, is that once you cut the money hose, EA cuts your access to the game, and if you’re the kind of player to stick with one or two games and play them to death, this system mightn’t work in your favor. Still, it’s certainly appealing to those who play many games on a regular basis, and although we’ll wait for a few more specifics before passing judgment on whether this could be a sign of a wider change in the gaming industry, there’s no reason to suggest that this business model wouldn’t suit gamers, EA and Microsoft alike. Well respected. Are you having a laugh? So with the new deal you will have to pay £50 per year for live then £60 per year for ea games. 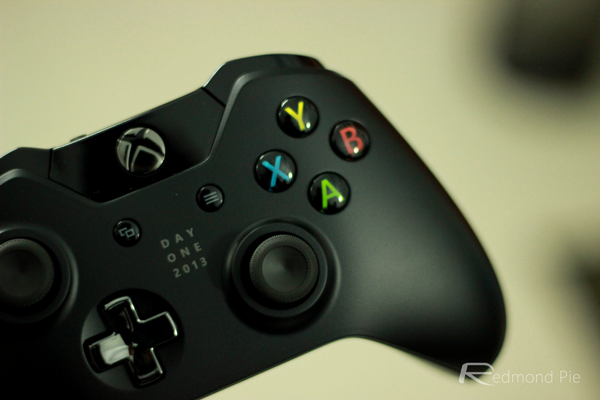 so you will need £105 per year to just run a Xbox one online. Sounds like a extortion to me. Especially when you consider the types of profits Microsoft & developers like ea make. If you have the £££ the chances are u haven’t got the time. If you’ve got the time then Ur sitting at home watching daytime tv saving up benefits to buy a Xbox one. And then Microsoft are shocked when people turn to hacks. Get real and start improving your price points! 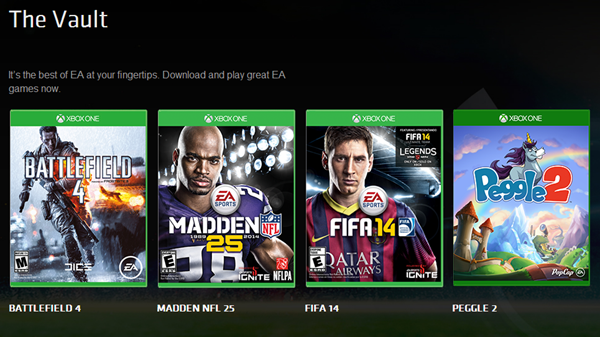 Lol EA is by far one of the worst companies ever; ‘well-respected’ is very inaccurate. Non-gamers mostly think the same, gamers mostly think the same… the company is a plague. Ugh why is Canada not on the approved list of countries? All I want is to sign up! No, this is just false. The reason why it’s on xbox and not PS4 is because Sony told them they weren’t interested, it’s got nothing to do with special deals or exclusivity. Oh and “EA one of the most respected publishers/developers on the planet” Are you having a laugh. They won the worst company in America how many years in a row?